Laurel (Kellie Pickler, in her Hallmark debut and first lead film role) , a career-focused Chicago businesswoman, is sent to her hometown of Memphis to close a lucrative deal. There, she checks into a guesthouse at Graceland and runs into her ex-boyfriend, Clay (Wes Brown), a local concert promoter. 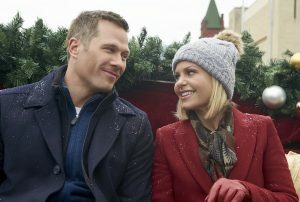 But when challenges arise and she’s called back to Chicago, she wonders whether to return or embrace her roots–and a holiday romance–by spending Christmas at Graceland. Killjoys alumni Tori Anderson makes her Hallmark debut as a career-focused, Chicago app developer lacking in holiday spirit who returns to her small hometown to rediscover the meaning of Christmas. Once there, she reunites with her estranged uncle (Steven Weber) and begins to fall for her childhood best friend (The Flash‘s Stephen Huszar). Kari Matchett also stars. 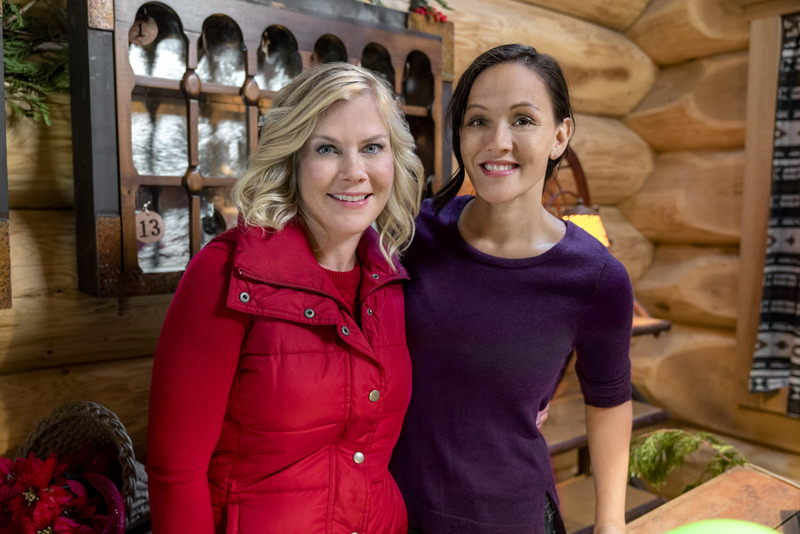 Kimberley Sustad (Nine Lives of Christmas and the upcoming third season of Travelers) plays a newly engaged woman who visits her aunt (Kathie Lee Gifford) in New England before Christmas to clear her head after reluctantly accepting her boyfriend’s proposal. While there, she meets a local, Gery (Paul Campbell), and they begin to fall for each other. Her aunt believes it’s God’s way of â€œwinkingâ€ at her and devises a plan to bring them together. Inspired by a true story. 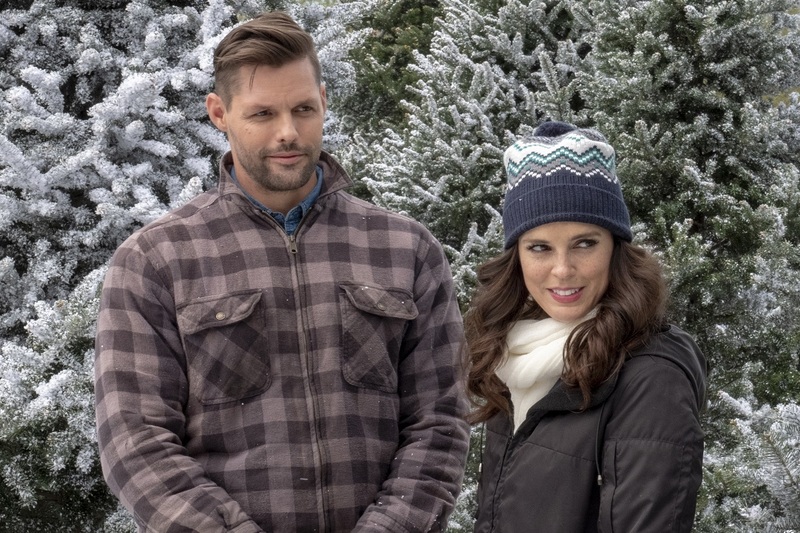 A follow-on to last Christmas’s Christmas in Evergreen, this year’s installment follows Lisa (Jill Wagner), who visits her hometown of Evergreen, Vermont and meets contractor Kevin (Mark Deklin of Designated Survivor). Lisa finds an old letter to Santa in the town mailbox and works with Evergreen locals, including the welcoming Carol (Barbara Niven) and kindhearted Michelle (Holly Robinson-Peete), to grant the letter’s wish for a Christmas like days past. Andrew Francis, Ashley Williams, and Rukiya Bernard also star. 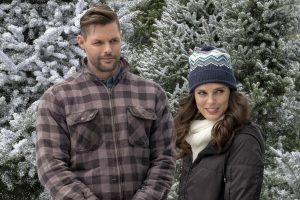 Widowed Megan (Erin Cahill) returns home for Christmas to discover that her parents are selling their childhood home to her high school sweetheart, Nash (Justin Bruening). 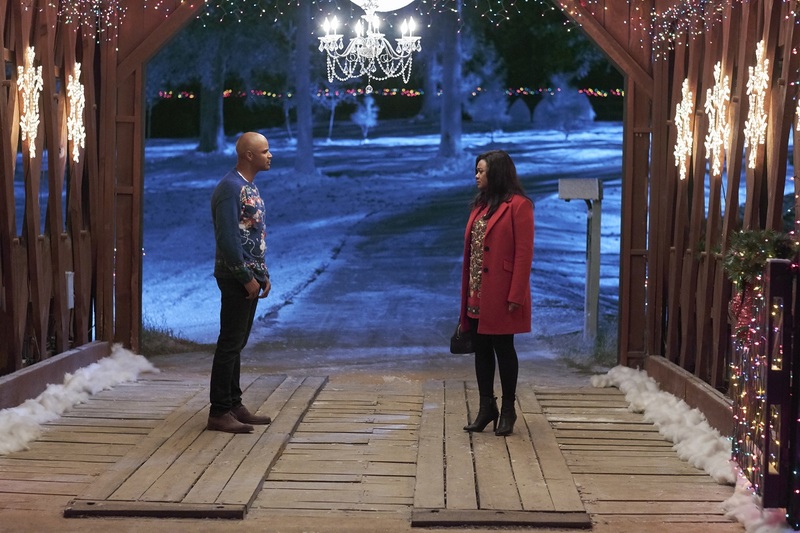 Surprise gives way to rekindled feelings as Megan takes a chance on love again. 12 Monkeys‘ Scottie Thompson stars in her first Hallmark movie as recently divorced Sydney, who seeks a new start with her daughter and begins by visiting Hopewell, the small town where she spent holidays with her grandparents. 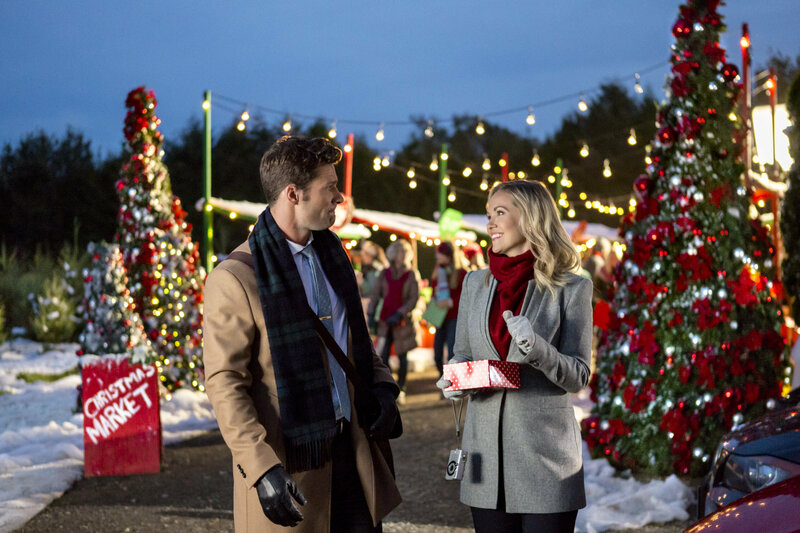 Embraced by the town in ways that only fate and the magic of Christmas can explain, she soon finds herself hopelessly smitten by Mac, the very definition of “good man” (Ryan Paevey). The movie is adapted from Nancy Naigle‘s novel. 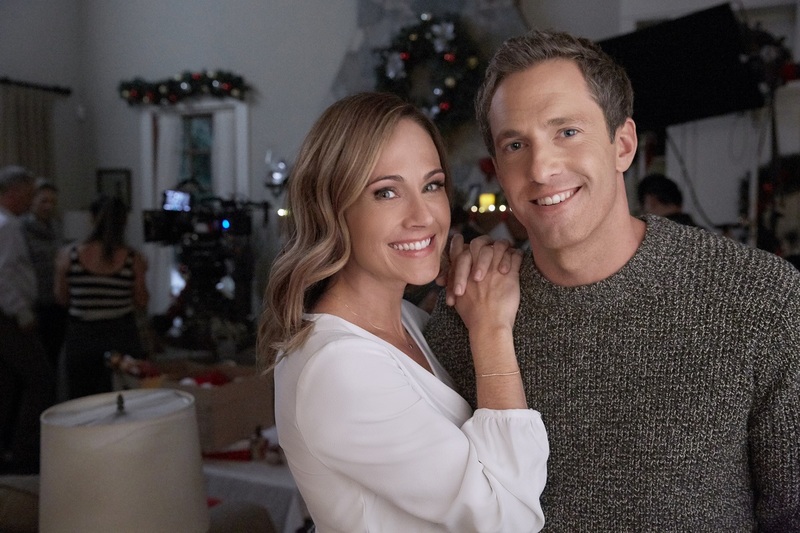 It’s a wink-nod Awkward reunion as Nikki DeLoach and Mike Faiola star in a story about a woman whose beloved grandmother plots from beyond the grave to bring the family together for one more hometown Christmas, during which everyone is reminded of the importance of family, love and second chances. Lisa Durupt co-stars. This one is a DVR keeper. It’s a really soft, subtle love story that’s not only about one couple but about family, too. Choreographer Katie (Merritt Patterson) and skater Jessica (Brittany Bristow) are performing in San Senova when Katie bumps into Alexander (Andrew Cooper), unaware that he’s actually a king who carries the nickname of “The Grinch King.” A single father who doesn’t have much Christmas spirit, he’s a good dad who acquiesces when his daughter wants a Founder’s Day pageant and summons Katie and Jessica for help. 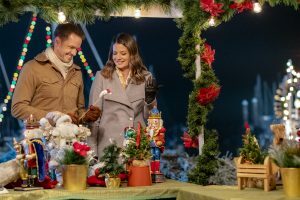 Hallmark and holiday regulars Lacey Chabert and Brendan Penny play financial advisor Darcy Fitzwilliam and her old high school nemesis, Luke Bennett. When she returns home, they have to work together to help Darcy’s mother plan a Christmas charity gala and realize they may have misjudged each other as teenagers. 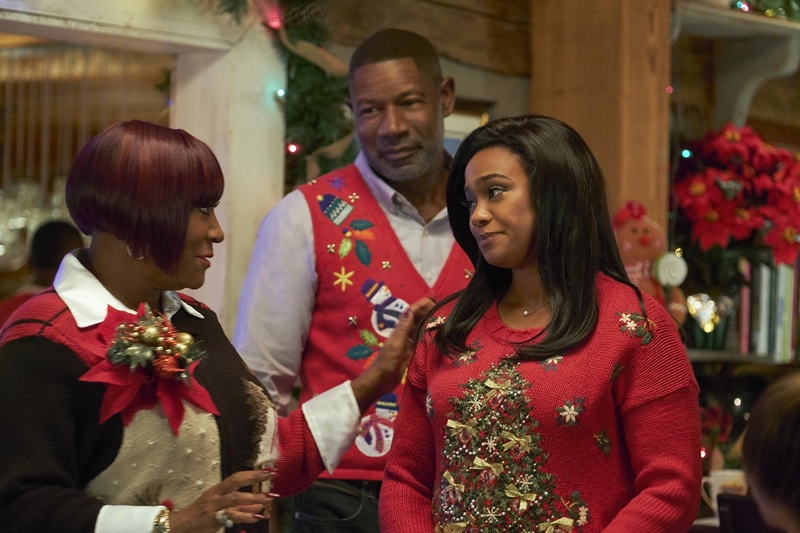 This year’s Hallmark Hall of Fame entry stars Tatyana Ali as Lucy, who returns to her hometown just before Christmas, after the passing of her beloved sister. She celebrates the holidays with her uncle (Dennis Haysbert), meets her sister’s friends, and reunites with her high school love, Peter (Dondre T. Whitfield), who reveals a secret from her sister’s past. Patti LaBelle also stars. Alicia Witt and Colin Ferguson star in a story of a woman’s last Christmas at her family home before the house is sold. As Emma (Witt) and her siblings make arrangements for the sale, antiques dealer Morgan (Ferguson) uncovers a family secret while doing the appraisal. 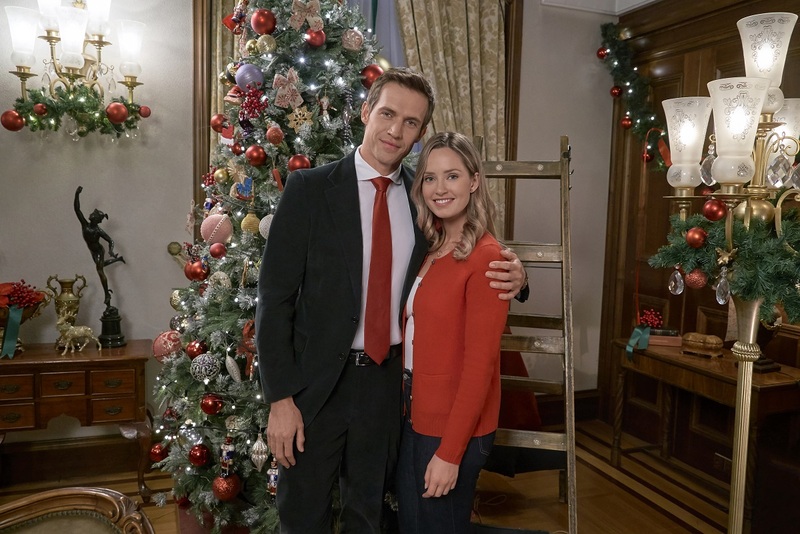 After he discovers a trove of love letters written to Emma’s mother that aren’t signed with her father’s initials, they work together to solve the mystery and uncover the true meaning of the holiday. Maggie Greenwald (who’s done Christmas before with the 2003 gem Comfort and Joy) directs a script by Wynonna Earp and No One Would Tell‘s Caitlin D. Fryers, based on a book by Mary McDonough (who also co-stars, along with Laura Leighton). This one was a lovely surprise as Luke Macfarlane jumped into filming immediately after wrapping on Killjoys. 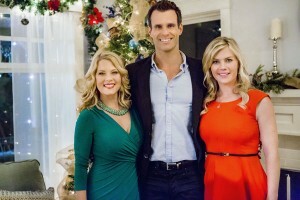 He co-stars with Candace Cameron Bure, who plays a disillusioned department store worker who meets her guardian angel (Jean Smart), who offers her a chance to change her circumstances by magically transporting her to Christmases past whenever she tries on a new pair of shoes. Macfarlane is a firefighter with whom she strikes up a new friendship. 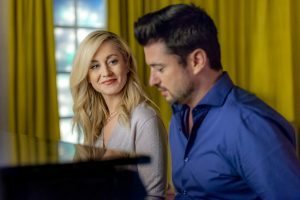 Check back tomorrow for more of Tina’s chat with Wes Brown, and our preview of Lifetime’s Thanksgiving week premieres.